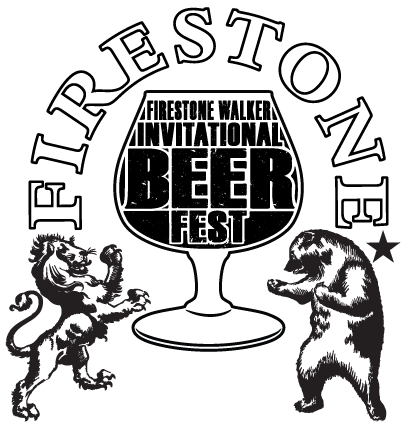 Firestone Walker Invitational Beer Fest Coming Up! We are proud to announce the Firestone Walker Invitational Beer Fest taking place this summer in beautiful Paso Robles. We are currently assembling a gathering of some of the best breweries in the U.S. and perhaps the world to pour their beers at this first time festival. The event will also feature some of the Central Coast’s finest restaurants and food providers pairing their culinary skills with those of the brewers. Live music will also entertain guests. Tickets include free tasters of both beer and food (while supplies last) and the logoed snifter glass and access to all of the music. Festival-goers will also be able to purchase a more hearty offering of food if they would like a solid meal. Unlike some festivals where sales people or distributors come to represent the different breweries, the brewers themselves will be on hand to talk about their beers. This is a benefit for the Pioneer Day committee, which is dedicated to the preservation of the unique history and culture of Paso Robles with 100 percent of the net proceeds going to Pioneer Day. This festival is also a great opportunity to get people from all over the West Coast to come an see Paso Robles all that the Central Coast has to offer. The event will take place June 9th at Frontier Town at the California Midstate Fairgrounds. Tickets will go on sale February 10th and tickets will also be available in the tasting room at the brewery tickets will be $60 plus fees. This is a 21 and older event no person under 21 will be allowed in.